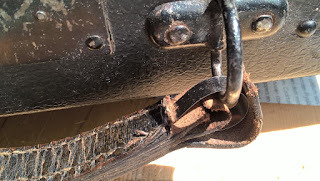 The handles of the carrying case of older portable typewriters are often riveted to the wooden case and not screwed. 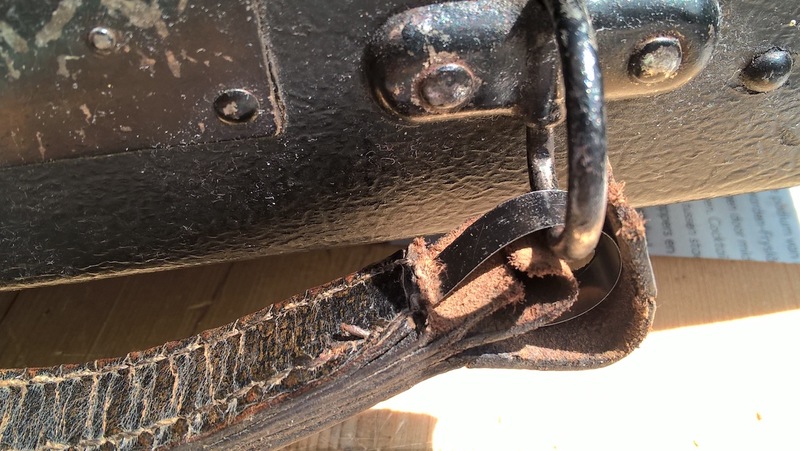 Usually the 'splayed' type of rivet is used that is hard to remove without seriously damaging the case. 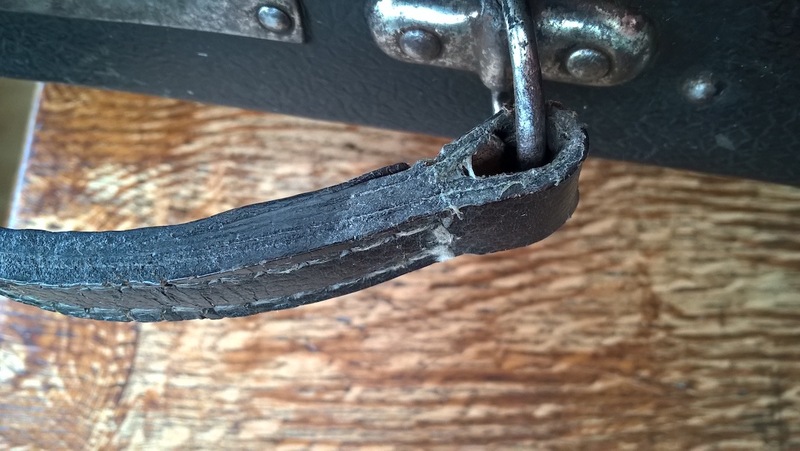 This can make it a bit of a challenge to repair the carrying handle when that succumbs to old age and fatigue. 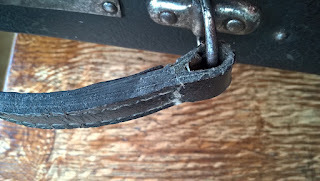 On some old cases you see rope wound round the metal rings, or the handle is just missing. On this case of an Adler portable typewriter, one end of the handle had given way and the other end didn't look too healthy either. Did not want to completely fit a new handle - aiming to keep the machine as close to original (albeit worn) state as possible. The space between the top two and the lower two layers of leather are cut open in case of any stitching in the way. 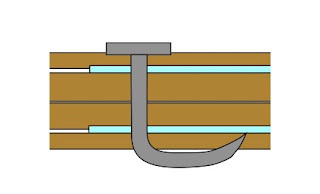 Then a thin metal strip is fed between these layers, with the handle mounted in position over the rings/lugs of the case. The strip is inserted about an inch into the handle and as wide as the space between the side stitching allows. The edges of the strip can be sharp, best use needle-nose pliers to drive it into position. With the glue all set and the nail in place, the carrying handle is now again firmly fixed to the case. It does show as a repair, but not too bad for a quick fix. When handled with care, this fix should be strong enough to carry the machine for a couple of decades to come.